The papermilldirect Sirio Colour paper range is an uncoated range that is made with e.c.f. pulp. The colours in this range are deep and uniform. It is available in a collection of beautiful colours, ideal for all prestige craft projects and perfect to add that little bit extra to your business stationery. 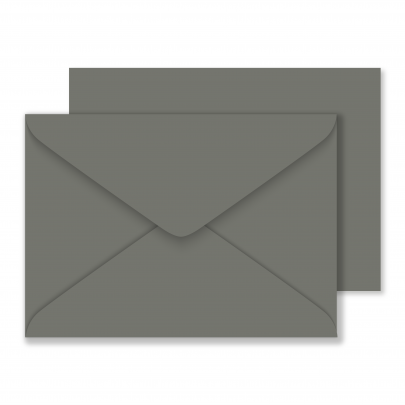 Manufactured from high quality 115gsm paper, these envelopes are ideal for a professional and presentable look.